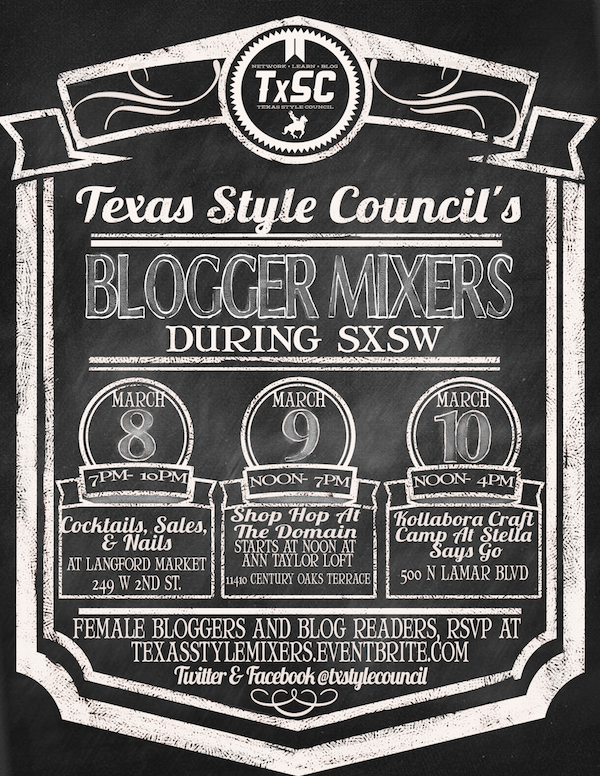 For the last three years, I have been one of the Texas Style Council conference organizers, which is a style bloggers' conference that occurs during SXSW. While we've decided to push our conference back to August this year, we will still have our famed (and fun) mixers during SXSW. Open to all female bloggers, business owners with female-centric products, and blog readers, this is a great way to meet new people and make new friends and learn more about our plans for August. Feel free to pass it on. RSVP here.